Here on Earth, most people celebrate St. Patrick’s Day by heading down to their local watering hole for a pint of Guinness or maybe a couple glasses of green beer. Up on the International Space Station, however, such a thing just isn’t possible, but that doesn’t stop them from recognizing Earthen traditions all the same. 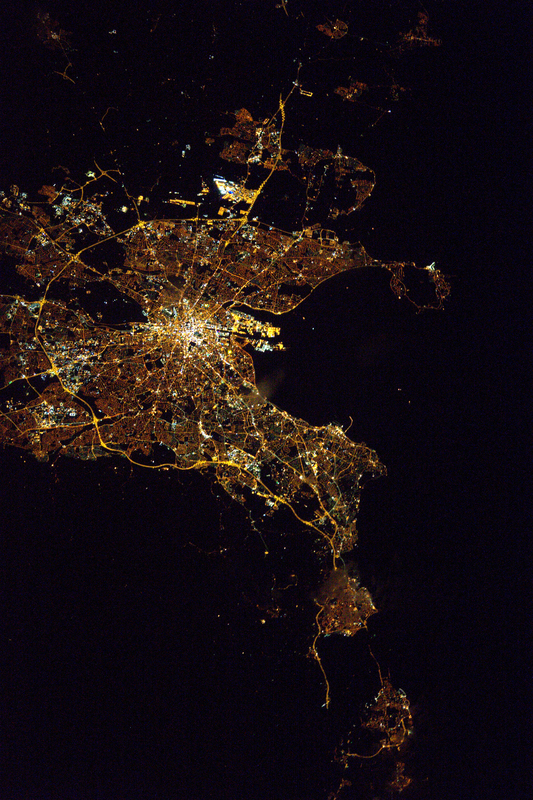 NASA Commander Shane Kimbrough and ESA pilot Thomas Pesquet took the opportunity to peer down from their perch some 200-odd miles above the surface to catch a glimpse of the city that is probably partying harder than anyone tonight: Dublin, Ireland. The photo is absolutely fantastic, and it was snapped at a high enough resolution to make out individual city streets. The center, downtown area is the brightest of all, and is undoubtedly filled with many revelers as the shot was taken. You can view the image in its full resolution on the NASA site here. The International Space Station, which makes about 15 orbits per day around our planet, is potentially nearing the end of its lifespan. It was originally launched in the late 1990s and has seen many repairs and upgrades since then. The station’s final days were originally estimated to fall somewhere in 2020, but Boeing, the craft’s principal contractor, has discussed with NASA the possibility of keeping it alive through 2028. The Trump administration’s various cuts to NASA funding could potentially impact that, as could many other factors.